1. How large would you like your message? 2. In what color thread would you like to see your message? 3. Where would you like your message embroidered on the handkerchief? 4. 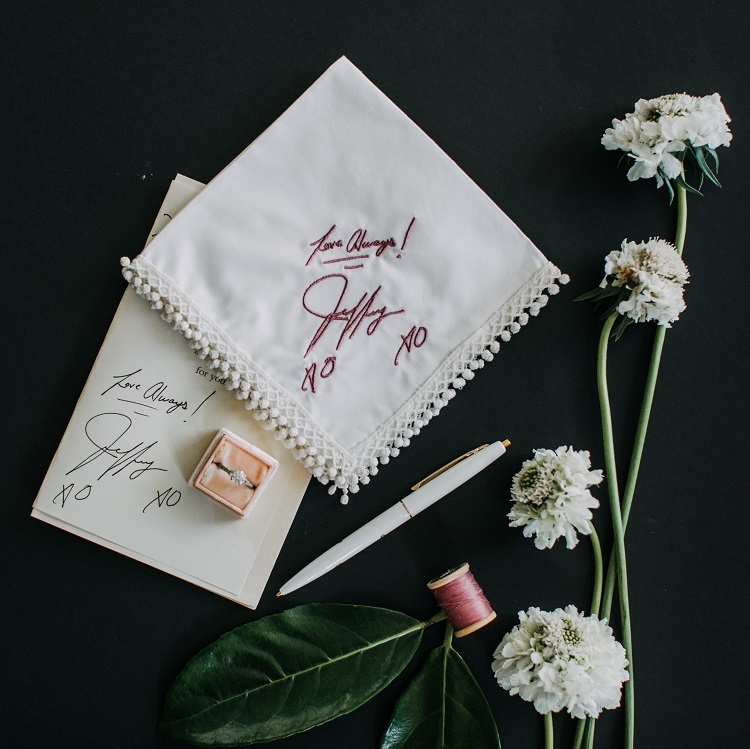 Which handkerchief style are you considering for your embroidered message? 5. 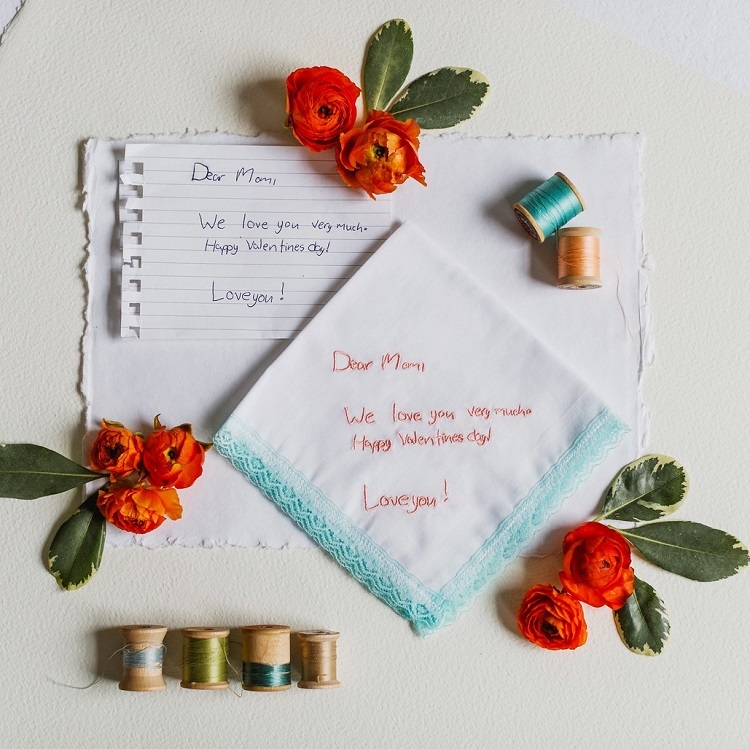 How many handkerchiefs would you like to order with your embroidered message? Please note that there is a $25 digitizing fee. Set-up fees are non-refundable. Handkerchiefs are non-returnable/ non-refundable due to the custom nature of the item. Intricate designs may require an additional set-up fee.